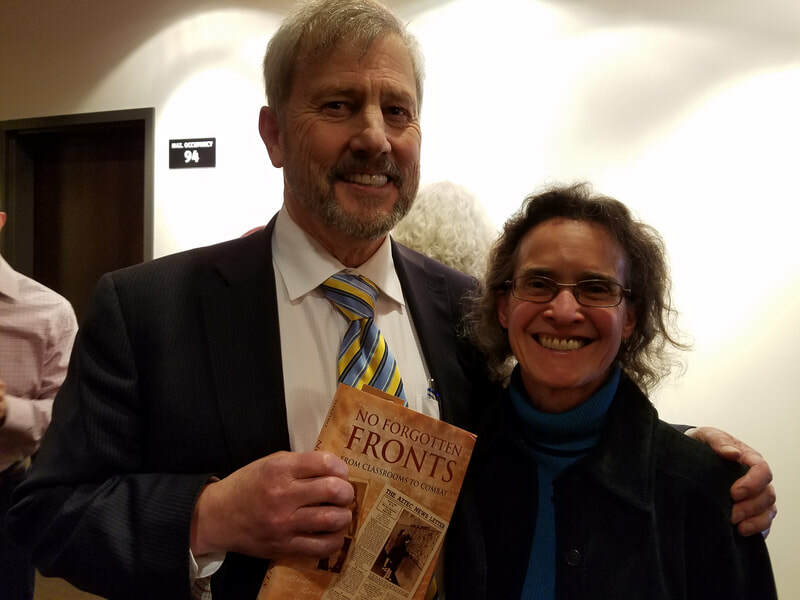 No Forgotten Fronts: From Classrooms to Combat has been the subject of library events, radio shows, YouTube videos, and more since its release in 2018. Scroll down to see excerpts and complete articles or click the quick links below to jump to the topic of your choice. Some links open new windows. I was honored to meet Tom Rice, a paratrooper who jumped into Normandy on D-Day: In a letter describing the historic WWII event, he wrote: "The sky was lit up as bright as day, ack, ack bursts, streams of red, green and white tracers converged on us and showery bursts of flares outlined us in the sky as we neared our drop zone." Tom remembers it like a movie playing in his mind. His arm got caught in the door, and his gold-plated watch came off. He jumped at 1:31 a.m. "We were supposed to jump at 1:21," he told me when we spoke at his home in Coronado. 75 years later, Tom will jump again to mark the anniversary of that historic moment. 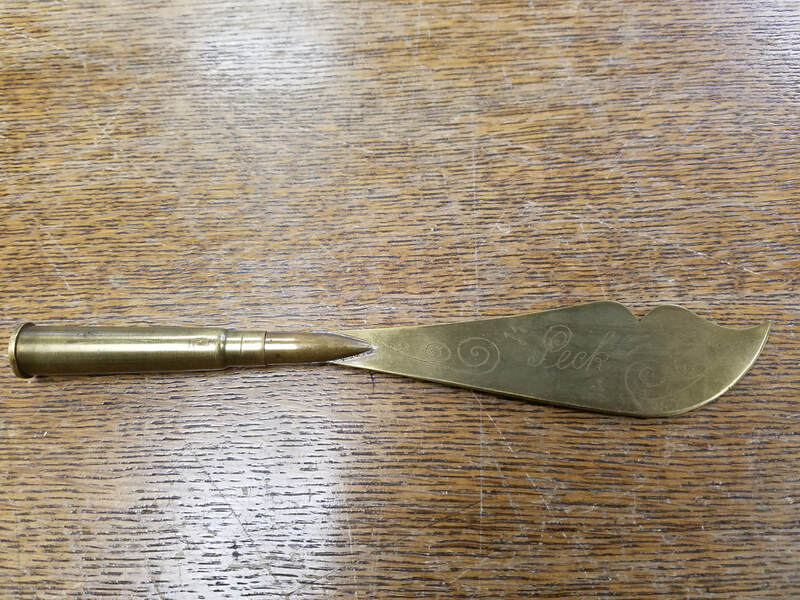 When a man in Illinois found an unusual object in the back of a cabinet, he wanted to know where it came from. After googling the inscribed name, place, and date – Peck, New Guinea, 1944 – he came across a letter by George M. Peck in No Forgotten Fronts. 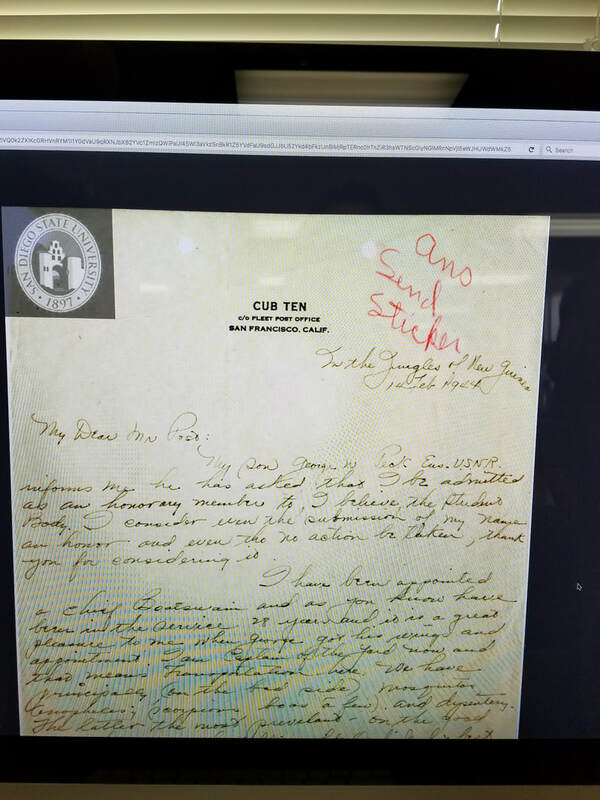 After contacting Lisa (who contacted the alumni association and archivists) the object was sent to SDSU. The inscription was compared with the signature on Peck’s letter, and it seems that this example of World War II trench art (possibly a letter opener) may indeed have been made by Peck. 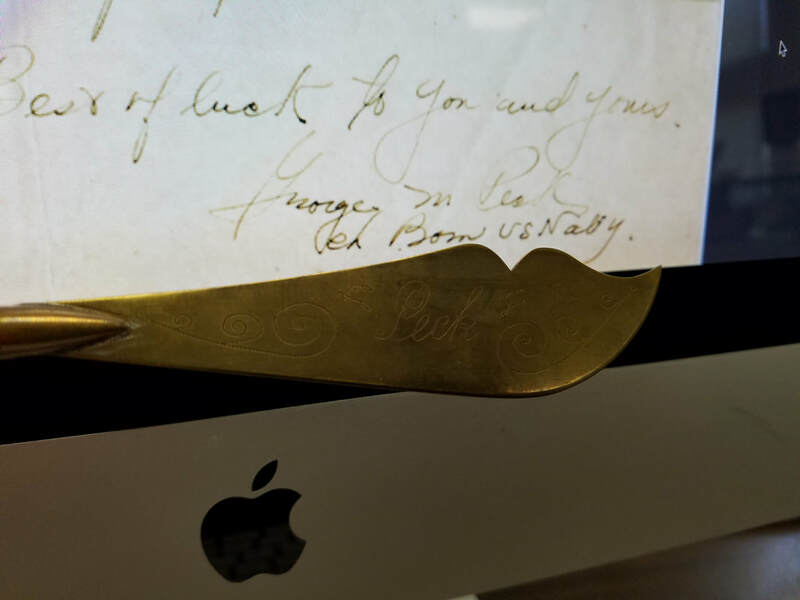 It will now become part of the letter collection at San Diego State University. Read the full article featured in the SDSU Alumni news here. 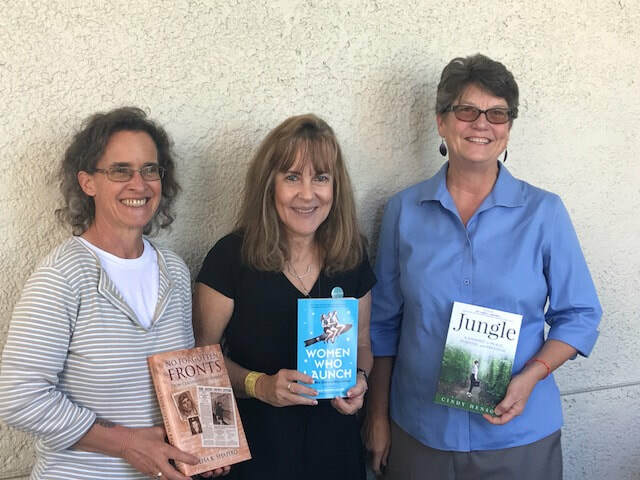 Lisa K. Shapiro delivered a speech featuring No Forgotten Fronts: From Classrooms to Combat at the Field of Valor, in Covina CA, sponsored by the Covina Rotary. 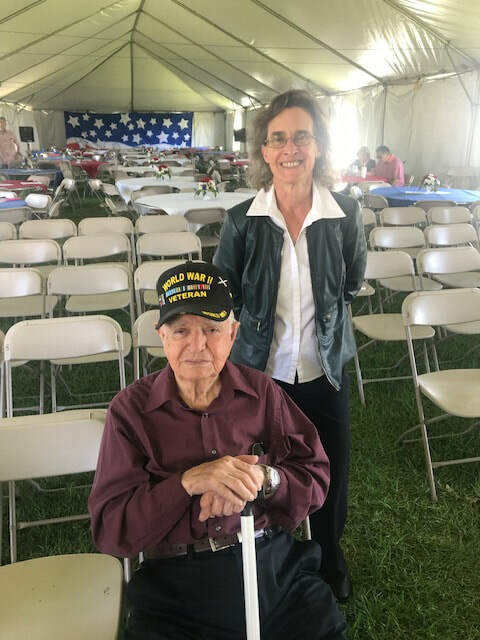 Lisa had the honor of introducing a veteran of World War II who fought at the Battle of the Bulge. 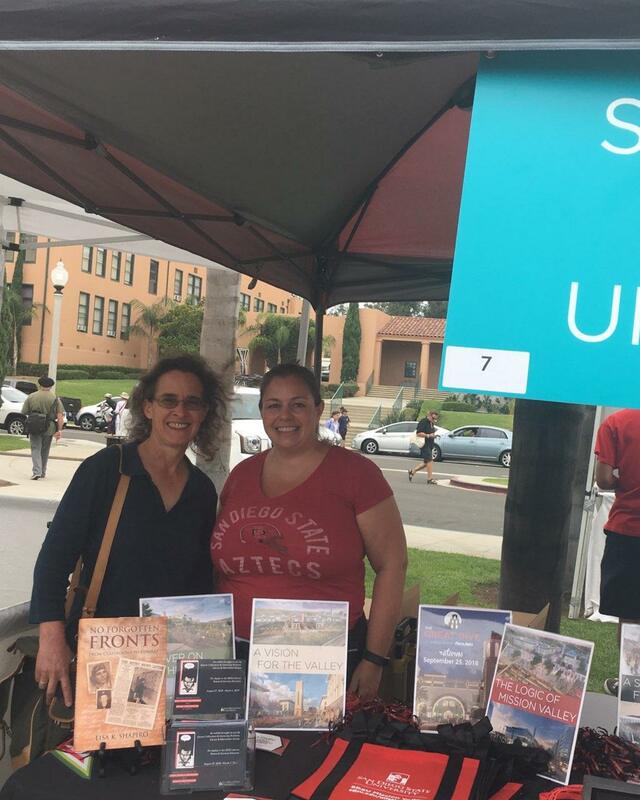 The San Diego Festival of Books Celebrates San Diego’s vibrant reading community by connecting thousands of local readers, writers, businesses, and booksellers around their common love of the written word. 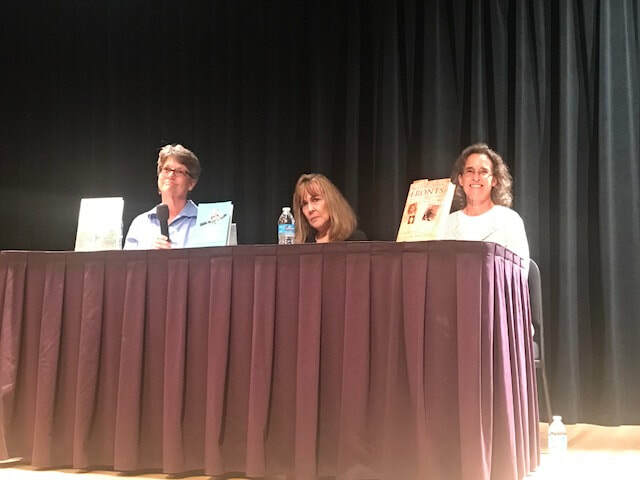 Lisa was a featured speaker on the Miliary Non-Fiction Panel. 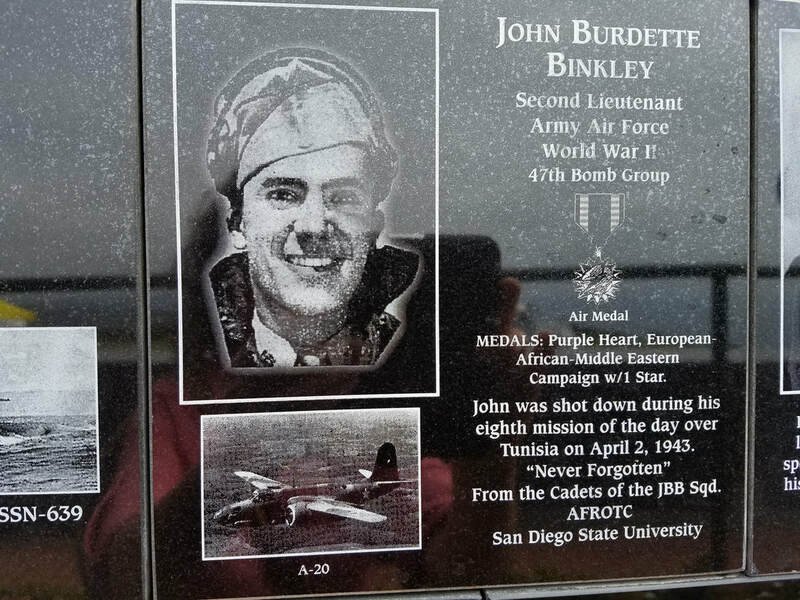 This plaque featuring John Burdette Binkley is at the Mt. Soledad Veteran’s Memorial in San Diego. Shortly before his plane was shot down over Tunisia, Binkley wrote a letter to his parents and assured them that he had faith and was at peace. 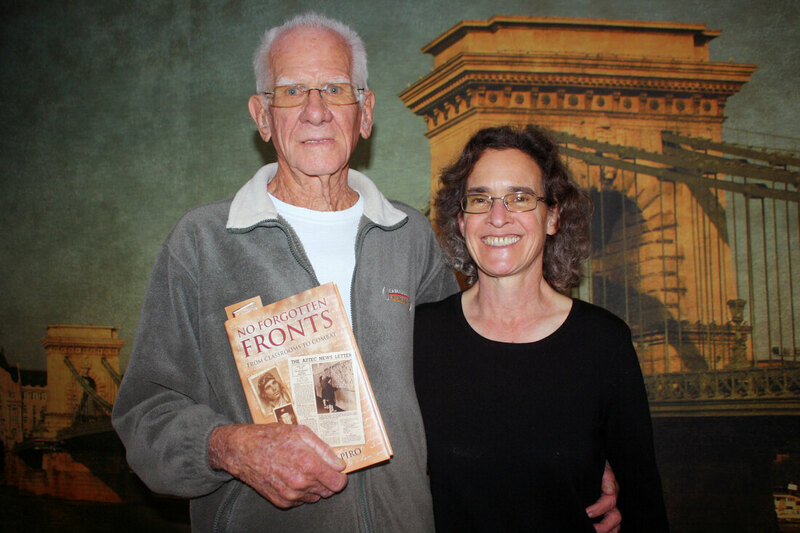 More about the letter from “Bink” and his father’s response is in No Forgotten Fronts: From Classrooms to Combat. At the Mt. 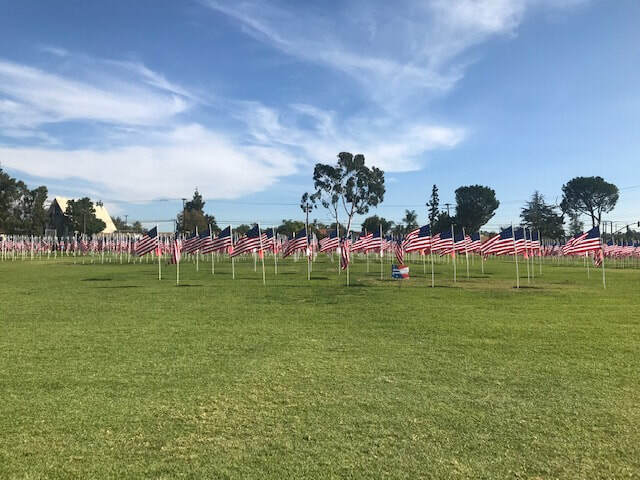 Soledad Memorial Day service, I thought about the Fighting Aztecs, and teared up as planes flew the “Missing Man” formation. “Dear Doc,” the letters begin, thousands of them written from San Diego State students and recent alumni scattered from Europe to Japan, North Africa and the South Pacific. They offer personal accounts of combat and valor, homesickness and the horrors of war. Read More . . .
My college classrooms are always full of veterans. That’s because San Diego is home to half a dozen military installations, including Naval Base San Diego, NAS North Island, the Naval Amphibious Base, and Marine Corps Air Station Miramar. 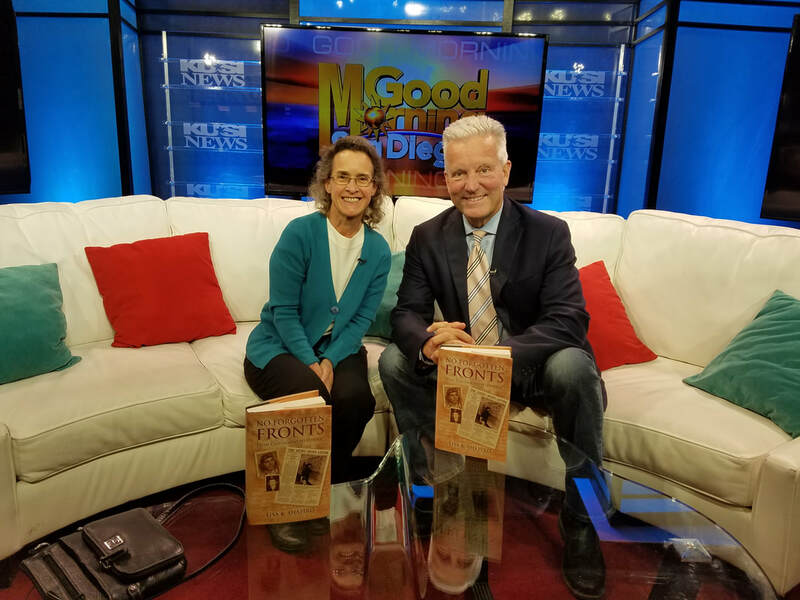 In this interview, Cris Alvarez (Warscholar on YouTube) interviews Professor Shapiro about the book titled “No Forgotten Fronts.” From the Warscholar Channel: Professor Lisa Shapiro has a masters degree in War Literature and teaches at [San Diego Mesa College]. 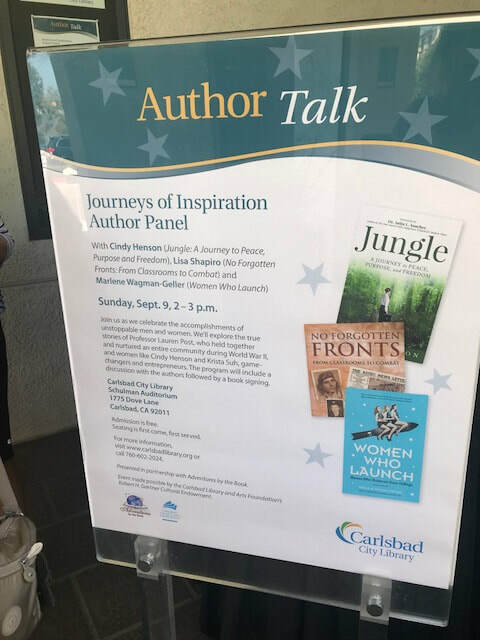 She’s written a book based on thousands of archived letters sent by San Diego State students who were in WWII to their professor Dr. Post . 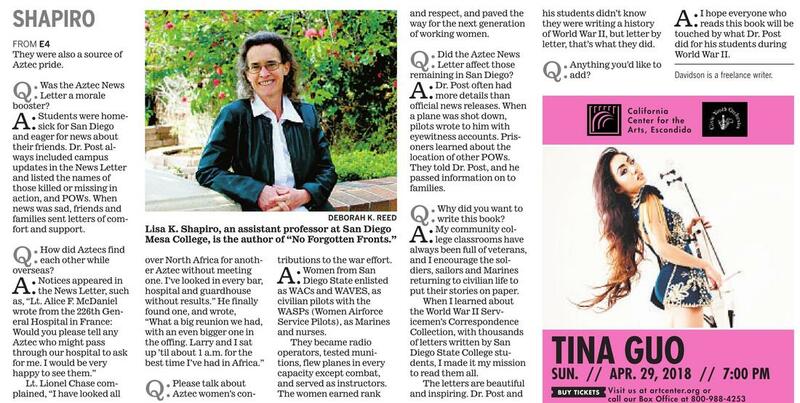 . .
During World War II, San Diego State College students serving around the world wrote thousands of letters to one professor, Dr. Lauren C. Post. Each month, Dr. Post included excerpts in the “Aztec News Letter,” which he mailed to students and their families. His work kept the campus and the community connected. History feels alive and immediate in these first-person accounts of places such as Normandy, North Africa, Germany, and the Pacific. The determination, fear, raw grief, and wonder of these articulate young men and women are preserved in their timeless letters in the World War II San Diego State College Servicemen’s Correspondence Collection, held in Special Collections and University Archives. Following the presentation, students will view original letters and News Letters from the collection. 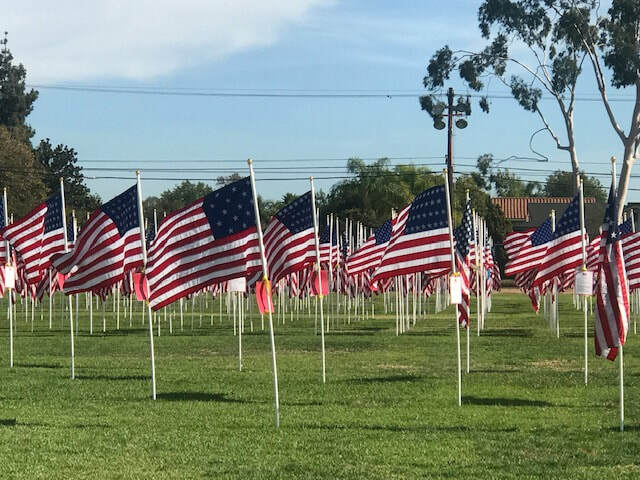 On Friday, October 20, San Diego State University (SDSU) will hold their annual War Memorial Ceremony to honor veterans who died while serving in World War II, Korea and Vietnam. This will be the 21 annual wreath-laying ceremony, and has been expanded to include and honor service members involved in events since World War II. 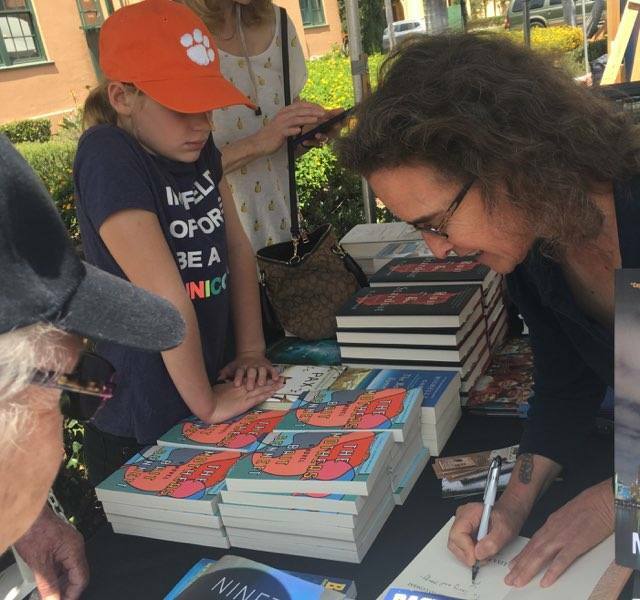 Author and Mesa College Professor Lisa Shapiro will be the keynote speaker at this year’s ceremony which will . . . read more. 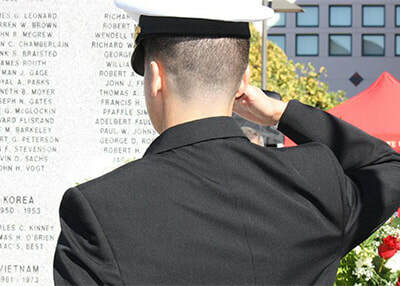 Each year during Homecoming Week, San Diego State University hosts a wreath-laying ceremony to honor its veteran alumni who have died in service during the nation’s military conflicts. This year’s event takes place at 9 a.m. on Friday, Oct. 20, at the campus War Memorial on Aztec Green. 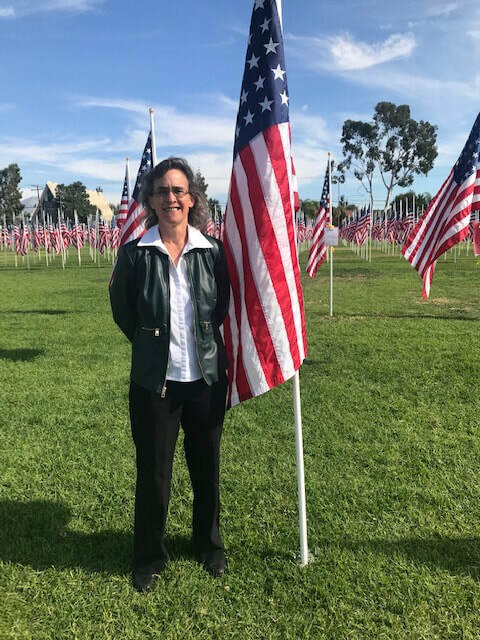 Lisa Shapiro, assistant business professor at Mesa College and author of “No Forgotten Fronts: From Classrooms to Combat,” will deliver the keynote address. 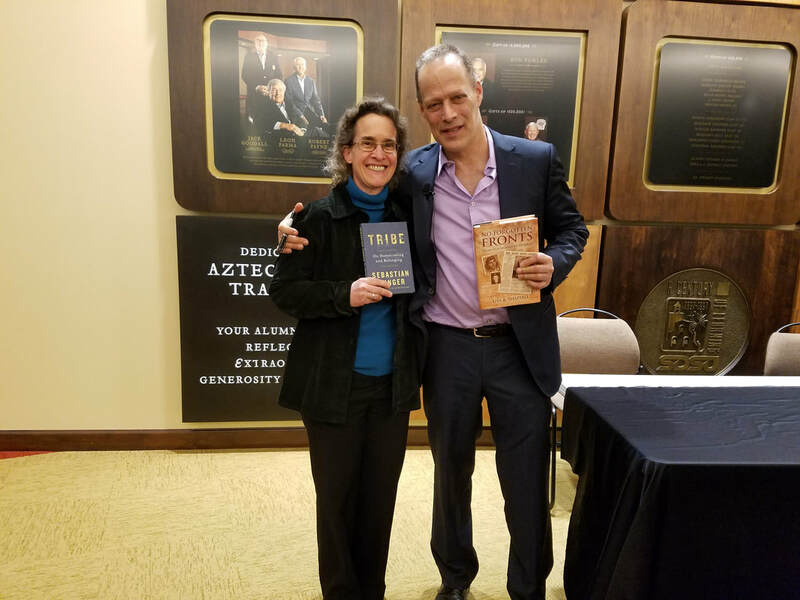 The book’s title refers to a quote by the late SDSU professor Lauren Post, who said, “As long as there are Aztecs, there will be no forgotten fronts.” . . . read more. 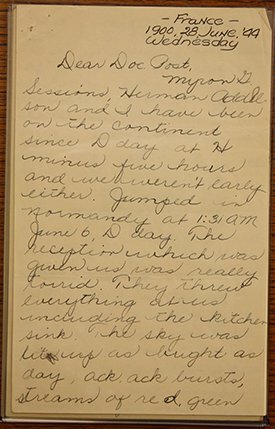 Paratrooper Tom Rice ('46) sent this letter dated June 28, 1944 describing the invasion of Normandy to Professor Lauren Post for publication in the Aztec News Letter. D-Day: June 6, 1944. Seventy years ago this month, the United States and its allies launched the largest seaborne invasion in history against the German forces occupying France. 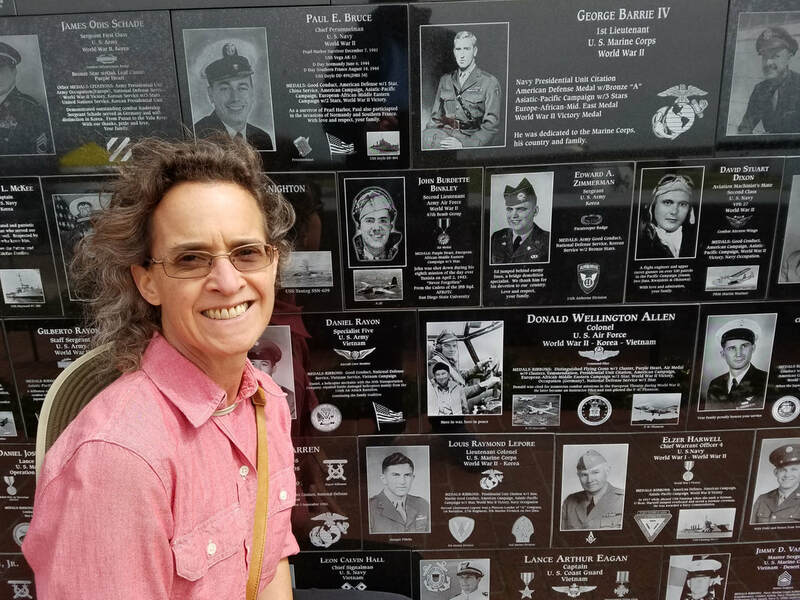 Among the hundreds of thousands of Allied troops that stormed the Normandy beaches and parachuted from planes under heavy fire were dozens of San Diego State alumni and former students. 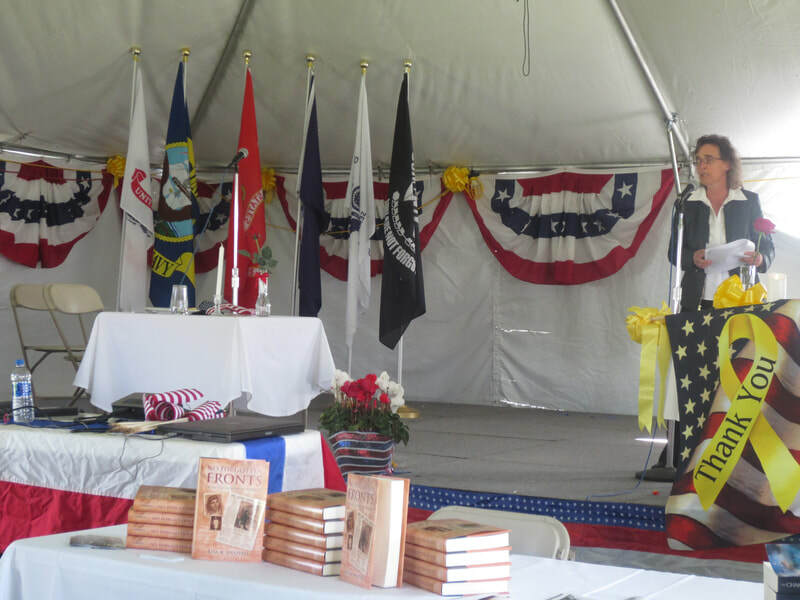 Many of those who survived wrote letters of their experiences and sent them home to update family, friends and fellow Aztec military service members stationed around the world. One of those was paratrooper Tom Rice (’46), who sent a letter from France dated June 28, 1944. In his own script, he describes parachuting into Normandy in the early hours of the invasion. Rice’s first-hand account of the invasion is one of at least 28 letters specifically referencing D-Day that are part of the library’s World War II Servicemen's Correspondence Collection. 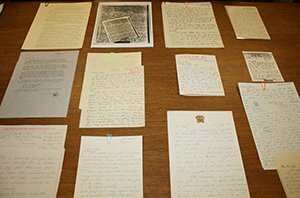 The collection contains almost 5,000 letters received from servicemen, servicewomen, and their families during World War II as part of Dr. Lauren Post’s Aztec News Letter project. 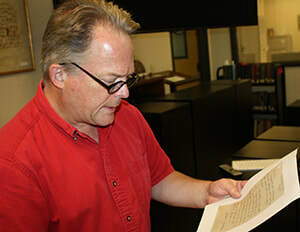 Special Collections and University Archives Director Rob Ray examines a D-Day letter from the SDSU Library's World War II Servicemen's Correspondence Collection. 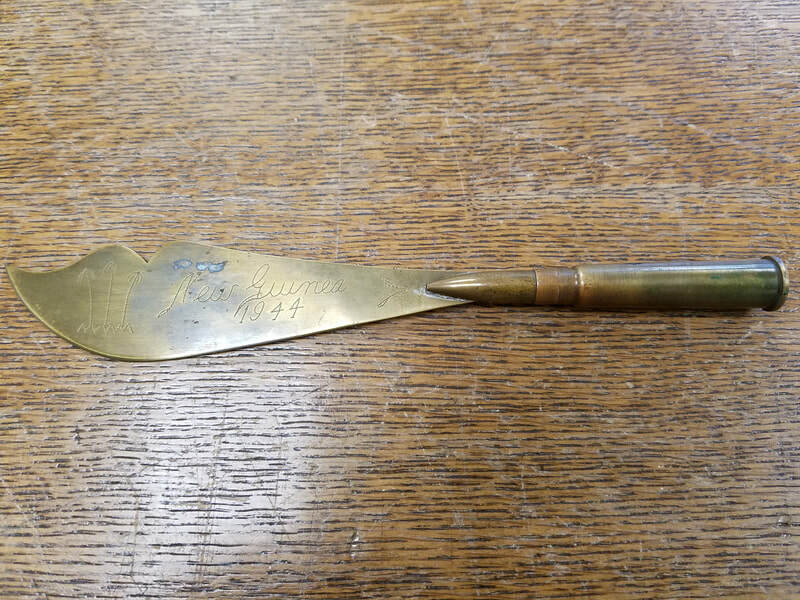 Robert Ray, head of Special Collections and University Archives, says the letters are important because they provide context for what actually happened during the invasion. The first-person accounts provide a variety of perspectives that can provide scholars with new understandings of different aspects of the historic invasion and of World War II. 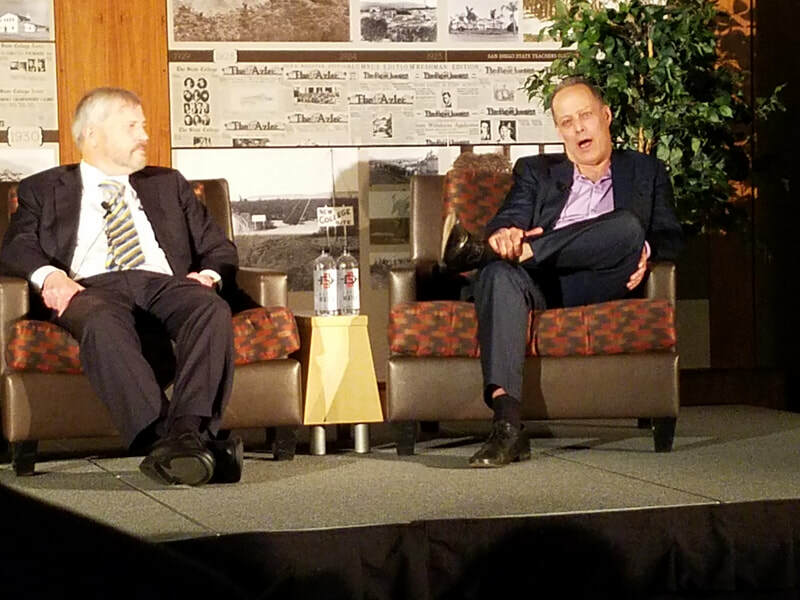 "There will be stories that have never been told before and information and understandings of the war that have never been possible because there just isn't that much first-hand writing of the experience itself,” Ray said. “Researchers will unveil that for the rest of us, but I know it's a mother load of information and possible new insights into the war." 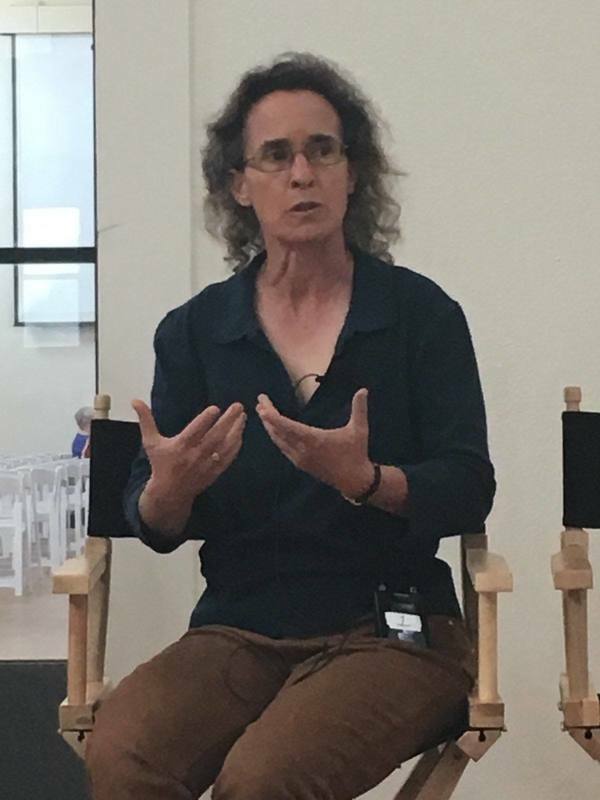 Lisa Shapiro is a Mesa College instructor and war literature researcher who for the past year has been reading the letters in the Correspondence Collection. "It's invaluable. It's priceless. There are so many different things you can track (through the letters in the collection),” she said. 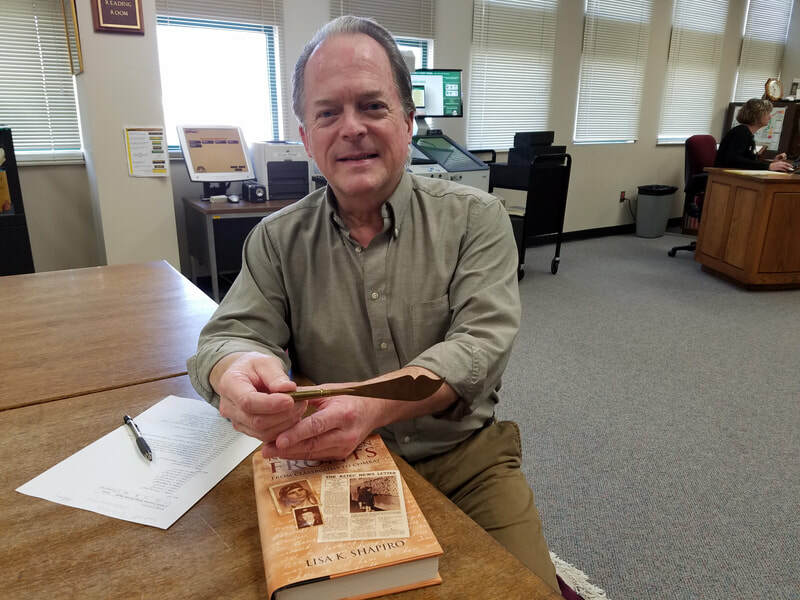 "I believe this is one of the only collections that exists where we can go back and tell the story of World War II from a first-person account. “These letters are unique in that they're written in the present tense. They're not written as history. They're not filtered. It's not like a memoir where people are looking back. You get a snapshot moment. “People go on for pages describing what things look and sound and feel like. So from a storytelling perspective, it's unique because so many voices are all describing the war and it captures so much about it." 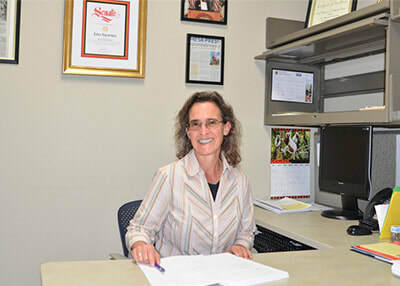 War literature researcher, Lisa Shapiro, estimates it will take her at least two years to complete her goal of reading all 5.000 letters in the library's World War II Servicemen's Correspondent's Collection. Only halfway through the letters, Shapiro estimates it will be at least another year before she completes her reading of the entire collection. After she finishes, she hopes to write a book. Shapiro is one of the few World War II researchers who have gained access to the collection or are even aware of its existence. She happened to see a story about the letters on television. “That was the first that I was made aware of this collection and then of course I've been down here ever since," she said. One reason scholars are unaware of the trove of information contained in the collection is that it has yet to be properly cataloged, cross referenced and digitized to be shared on line. The library has been raising money for that project, but still lacks sufficient funding for its completion. “We want to reveal the existence of these letters and make them available to the wider research community,” said Ray. “We can do that if we get our analysis of each letter and a searchable database on the Web so it's easy for people to discover the content of these letters. There are at least 28 original D-Day letters in the library's World War II Servicemember's Correspondence Collection. The project completion is something Shapiro, who must inspect every letter from the confines of the Special Collections reading room, would like to see. 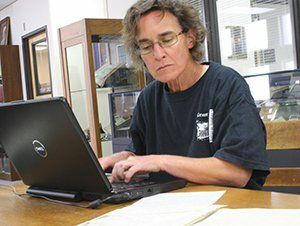 She believes digitized access would bring global attention to SDSU’s Servicemen's Correspondence Collection among scholars and researchers. To support the effort to analyze, catalog, cross-reference and digitize the World War II Servicemen's Correspondence Collection, please contact Robert Ray, head of Special Collections and University Archives at rray@rohan.sdsu.edu.